George the giant is sick of being the scruffiest giant in town! He kits himself out with smart new trousers, a smart shirt, a stripy tie and shiny new shoes. Now George is the smartest giant in town! But on his way home he meets lots of poor animals who need his help. Soon George’s tie is warming a giraffe’s neck, his shirt becomes a sail for a goat’s boat, and his shoe becomes a mouse-house. But suddenly a very cold George has given all his clothes away! Now he feels like the daftest giant in town. 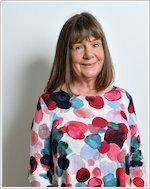 Will the grateful animals say a special thank you to the KINDEST giant in town? This rhyming tale of giant generosity will make you feel all fuzzy and warm inside. 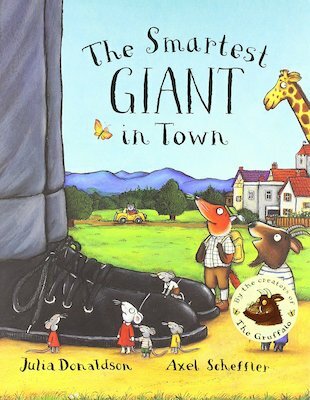 I love this story the giant is so kind to the animals all over the town!!! This is about a giant who lends all his clothing for good. good for younger children, about a rely kind giant who tries to help everyone great book.